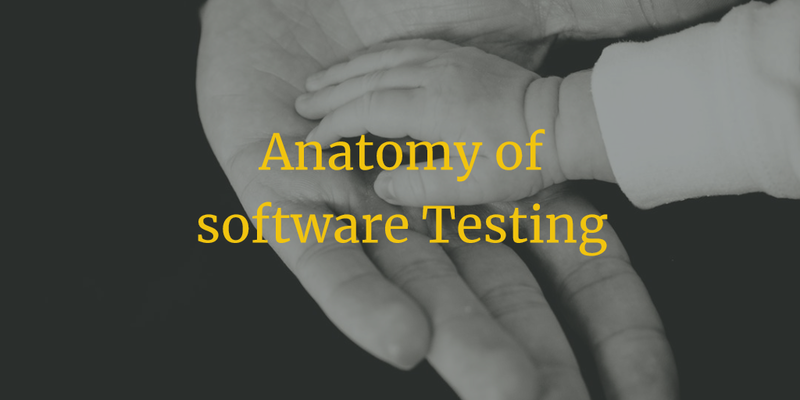 In last article we have seen about the software testing procedures. Now in this article we will discuss about the different kind of anatomy of Software testing. Anatomy of testing have been described with below scenarios. Developer team will always focus and involve on the problem solving activity while developing a new software. As per their responsibility they can’t focus on the failure of the application. They will always try to do their best to write code with less lines and more efficient. Thus, In future any other developer can understand the code structure and work for the same application. Developer team mainly focus for the requirement of the client. This all are the major responsibility of Developer team. Now come to the testing team, this team have more responsibility of how customer will use the product or software. According to the public mind set, testing team have to work on same. Tester mainly focus on the area where failure can be occurred in software or application. Which portion of the application will be used most, testing team will work for same. They will find the issues from the application and it can be GUI based, Functional based and integration based issues. It may happen that different developer have been developed different modules of the application but a tester have to check all the integration of the application after it have been developed. Most of the issues can be found from the integration of different modules as some communication gap will be there in developer team then main functionality can be forgotten. But testing team have to focus on the main requirement and integration as well as function of the application from where it can be failed. This one is the first anatomy now we will move to the next. As we know that there are always different mindset for each person whether he is developer or Tester. We cannot compare them as both have their own perspectives. This thing does not prove that tester cannot do programing and developer cannot do verification of the application. Even we can say that programmer is tester itself because while developing the code he needs to verify his code structure too. At this time they also finds many errors in their code. This is the only reason, before giving a developed code to anyone, Developer tests his own code first. But this is the universal fact that we can’t find our own mistakes. It is difficult in practical scenario so here testers can help developers and business analyst team to finalize the application. Even developers also gives idea to business analyst and professional testers share their thoughts on improvement of application. This kind of testing is called independent testing. And a developer tests his own code is called self-testing. This is the main difference between Self Testing and Independent testing. As per the research, Due to Independent testing more defect and fault can be identified. We can divide testing in several level like First Item will be tested by a person who wrote it. Second, an item code can be tested by another person who is working in same development team. Third, the item can be tested by the person who is not working with the team or outsider. Fourth, the item can be tested by the different organization or company or we can say that our sources testing or by a certified person. In General when we make mistake and someone point on that then we are getting irritated and annoyed. The same situation have been faced by all the developer who develop his code very effectively. But same time testers are doing their duty and find some bugs which is right at their point of view. Tester feels that they have found a bug and took one step ahead to make an application bug free but at same time developer team are getting upset. In this type of situation communication is taking place. How a defect can be reported, that is affected to the developer so here we need to be very careful in communication. We are in good mood as we have found the bug but how developer team will react that is the main situation. If any communication gap will be there and anything is taken on ego then ultimately we can’t deliver the good product as it will have defects. This can be lost the trust of client too. Thus, communication between tester and developer team is playing major role. Here Tester and developer team are working for company only so defect must be logged with properly and that should be resolved properly. No personal criticism should take place here.